The DOVES are a flock of microsatellites tasked with rapid Earth imaging. Now all those images are free-to-use under a creative commons license. Top image: San Francisco Bay, California. 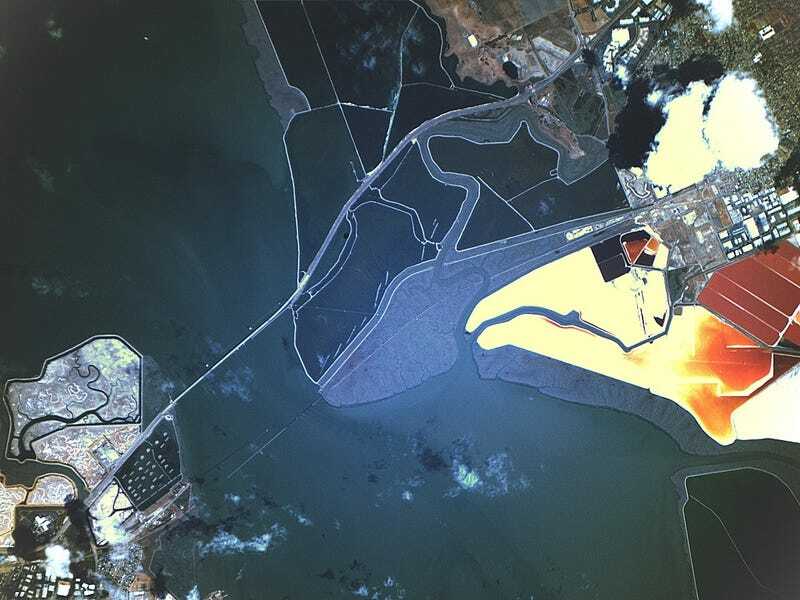 Nature reserves, salt ponds, and levee trails to the east, the Dumbarton Bridge spanning East Palo Alto and Fremont, with Facebook's campus to the southwest. Credit: Planet Labs Inc. Developed by PlanetLabs, 28 of these toaster-sized satellites launched in January 2014. Ever since, Flock 1 has been sending home beautiful images of the entire planet, showcasing their favourites in a frequently-updated gallery. Now, PlanetLabs has released all those images under a Creative Commons Attribution-ShareAlike 4.0 International License. This means you can take those images and share or modify them any way you want, just as long as you keep their name attached in the attribution, and release the new work under the same CC by-sa 4.0 freedoms and restrictions. One of the advertised objectives of the DOVES is to rapidly image the planet frequently enough to be useful in disaster response. 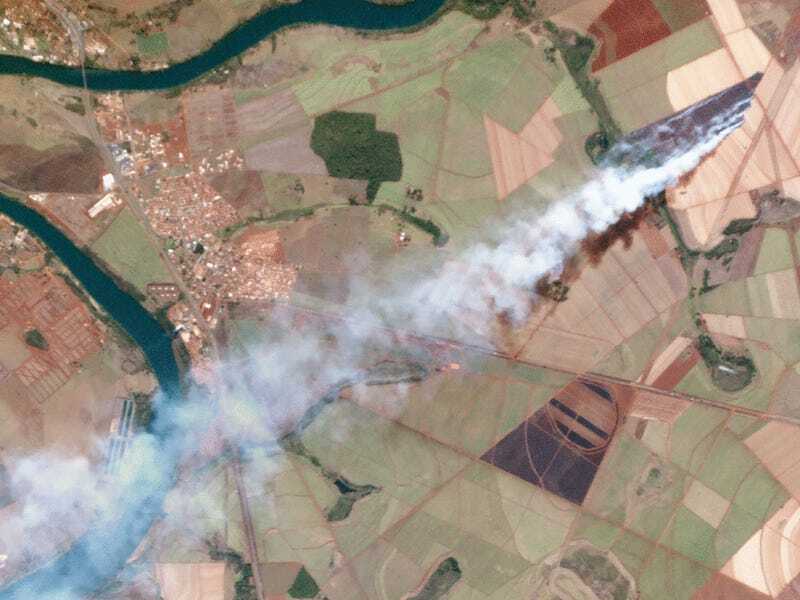 While neither this farmer's small field fire nor the ongoing drought in Brazil are catastrophic time-urgent disasters, they are good examples of what can be done with pre- and post-event imagery. Landsat 8 captured an image of this region on August 8th. The next day, DOVES photographed the same location, now with a fire burning in a tilled field. Minas Gerais, Brazil, has been experiencing one of the worst droughts in the past half-century this year. 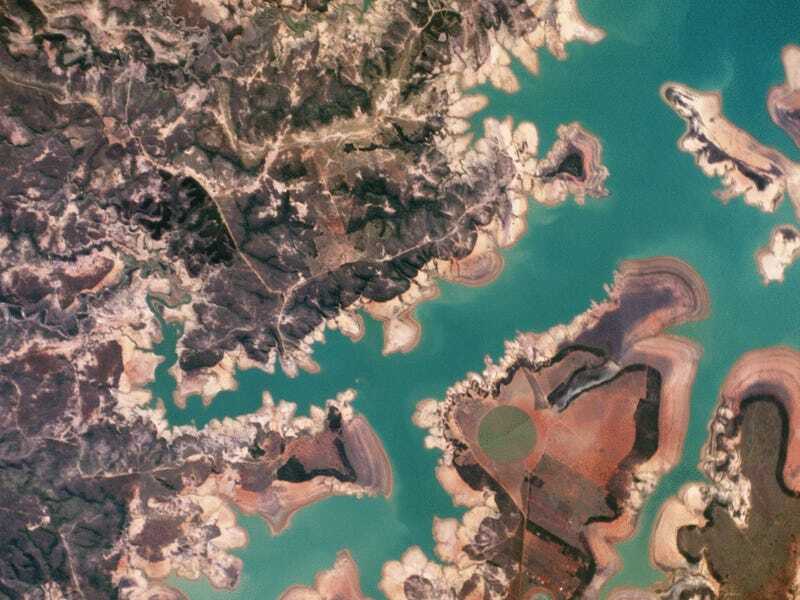 The impact can be seen by the dramatically lower water level in Represa Três Marias, one of the largest reservoirs in Brazil. Despite my clear disaster-obsession, not every image is about slow-onset catastrophes. Flock 1 of the DOVES are also tracking land use, development, or just flat-out beauty. Inland are small villages ringed with agricultural fields. Farming continues right out into the sea, with aquiculture pens for shrimp, sea cucumber, and abalone. The human impact on the landscape north of Bakersfield is a sharp devision between irrigated fields, and desert ravines. Understandably, the ongoing California drought has had substantial impact on this region. The Great Bitter Lake is one of just two places along the 193.3 kilometer Suez Canal where ships can pass each other. All images credit PlanetLabs. For a bit more beauty, did you know that the DOVES are decked out in works of art?